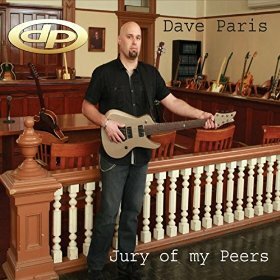 Dave Paris: releases instrumental album "Jury of My Peers"
2015 is shaping up to be an epic year for Cedar Rapids, Iowa guitarist Dave Paris. Although not exactly a “rockstar”, Dave has a reputation of being a guitar players-guitar player. This under-the-radar guitarist has contributed to recordings that are garnishing national attention in genres as diverse as pop, country, jazz and gospel. Dave has worked with artists like Mitch Goudy andDiana Upton-Hill, and has been the go-to player for live dates in small clubs, coffeehouses, churches, and concert halls. February marks the release of his new album Jury of My Peers which aspires to bring this versatile session player and private guitar instructor center stage. 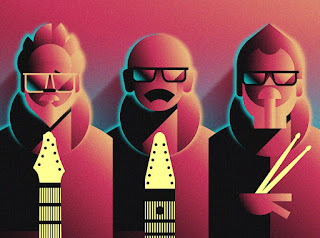 The new album combines hard and modern rock, blues, and a little funk in 13 original instrumental songs of melodic sensibility and top-notch musicianship, with just the right amount of technical precision. The album opener and lead single “Roman’s Road“ is a wah-fueled shred fest with a driving low-end. 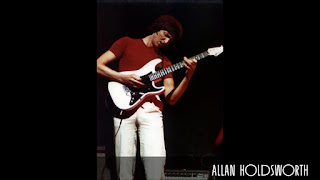 This song has particular importance to Dave as it was inspired by and dedicated to his young nephew, Roman, who was born four months premature. Amusic video was filmed featuring Roman and Dave’s nieces intermingled with footage of Roman’s plight from the hospital to home, and proceeds from the sale of the single are being donated to charity. This album is 100% guitar, but the musician’s track listing reads more like a Who’s Who of the Midwest’s finest musicians. 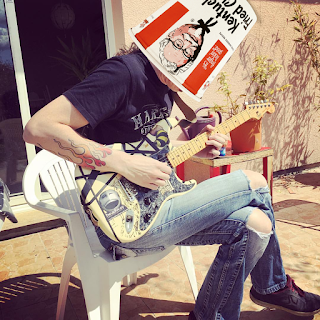 Californian musicians relocating from the coast have become the recent trend, and Dave has grasped this opportunity to work with the best players he could find; not only to backup his arrangements, but to step into the forefront of the mix when needed. 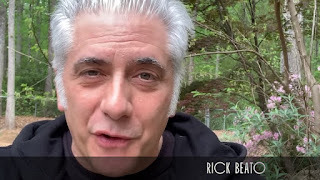 Former LA drummer and Modern Drummer columnist Rick Long, now active in the Kansas City music scene, appears on three tracks including the blues-based “Seeds on Stones”, which also has Dave Paris Group member Barbe Paris pulling double-duty on keyboards and acoustic bass. Other rock-blues highlights include the very raw, traditional blues piece “Wood, Wire, Wind.” Dave’s good friend and collaborator Cyprian Alexzander trade leads on this piece with Dave’s contribution from a three-string, fretless cigar box guitar and Cyprian on blues harp. 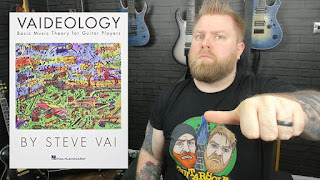 “Chapter and Verse” features a guest appearance by world-renown, Kansas City-based guitarist Jeff Scheetz, with a reggae-like breakdown where Barbe lays down a keyboard solo. “Night Before Last”, a symphonic rock arrangement too big to fit into earbuds, features violinists from the Cedar Rapids Symphony Orchestra carrying the melody and backing Dave’s blistering solo. 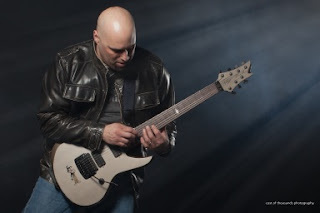 Dave utilizes the eBow guitar effect to emulate a Moog-style keyboard on the progressive rock of “The Author of Fate.” The straight-ahead, double-kick rhythms of “Free B“, is pure modern rock with a driving groove and singable lead line. 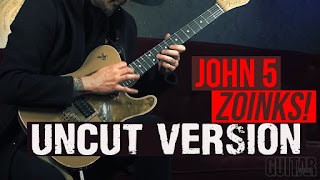 Musicians, particularly guitarists, are going to love this album, but non-musicians will lock into the melody-intense songs with its larger-than-life arrangements and production. Final mix down, editing, mastering, and design layout was handled by Doug Johnson at Cedar Rapids’ Recording Guy’s Studio. RGS Productions has worked on hundreds of internationally-known projects and artists over the years, and has a reputation for major-label quality and hometown ethics. Jury of My Peers, as well as other singles, and the Dave Paris Group’s 2010 release “Words and Music” are available on iTunes, Amazon, CDBaby and other outlets. Of course, you can hear it live when Dave and his band hit the road throughout 2015 to support the release; It’s going to be epic. Visit the official website at daveparis.com for more info including music videos, free music downloads, and photos.